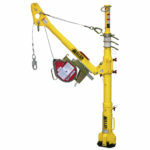 DuraHoist™ Portable Fall Arrest Post and Extension Post is the ultimate versatility when it comes to fall arrest. Lightweight and easy to storage, transport and set-up. 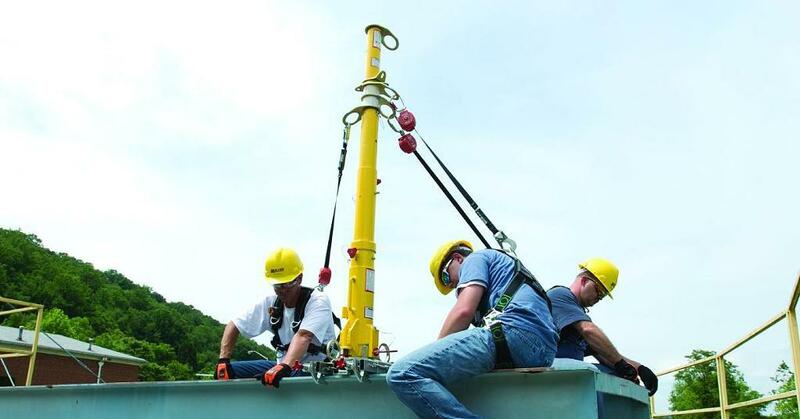 The Miller DuraHoist™ Portable Fall Arrest Post provides three independent swivel tie-off points for fall arrest anchorage, three-stage/four-position telescoping design and horizontal lifeline capabilities. The modular design allows the use of components in various configurations and applications. Multiple winches and/or lifeline systems may be mounted as required. Lightweight, manageable components for easy storage, transport and set-up. No tools required for assembly. Ideal for applications where an overhead anchorage does not exist. Kit includes 11/16-in. (17.5 mm) kernmantle rope lifeline, lifeline adjuster/tensioner, two connecting O-rings, snap hook, and in-line shock absorber. Miller Portable and Fixed Anchor Base & Anchor Plates. 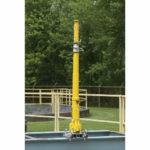 Portable I-Beam Anchor (DH-AP-9/) attaches to steel I-beams. Bolt-on Anchor Plate (DH-AP-12/) can be used in concrete or steel applications (portable or permanent). Fixed anchor plates are designed to be permanently welded to existing structures in locations of frequent work or where the use of a portable base is impractical Plates for inclined surfaces (DH-AP-6/, DH-AP-7/) can be customized to your specific incline requirements up to a maximum of 45 degrees. Miller Hoist/Winch and Mounting Brackets. The Complete Mounting Bracket Assembly (DH-19-MILLER/) is required to mount a Miller ManHandler Hoist/Winch or Miller MightEvac SRL to the DuraHoist Confined Space System.